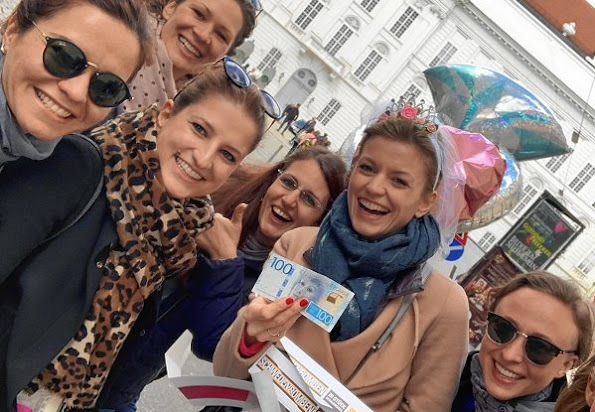 Swedish royal family made a private visit to Vienna this weekend. 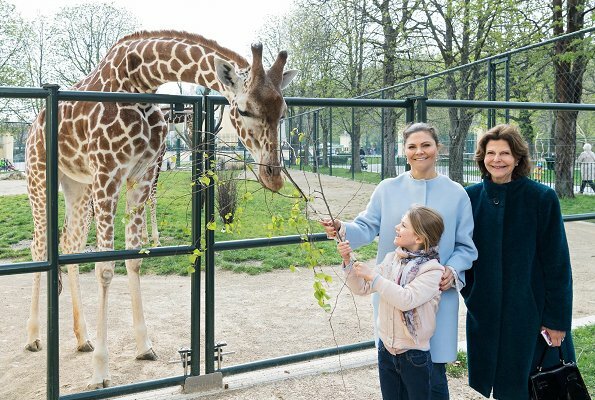 As part of that private visit to Vienna, Swedish royal family visited the Tiergarten Schönbrunn on Sunday. 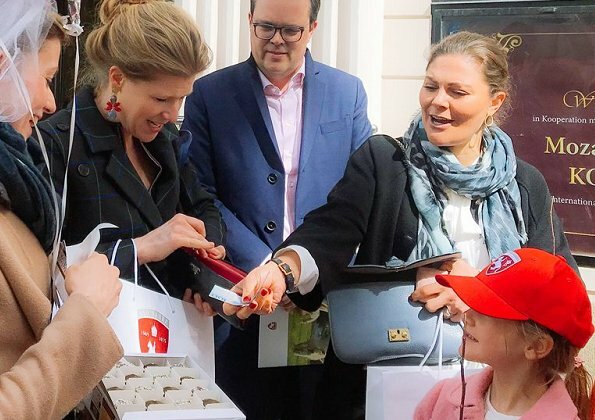 Queen Silvia, Crown Princess Victoria and Princess Estelle were given a tour of the zoo and visited pandas, lions, elephants. Finally, the guests of honor fed the two giraffe females Fleur and Sofie together. On Saturday, the royal family visited Spanish Riding School and during the city tour, met with women who were having a hen party. 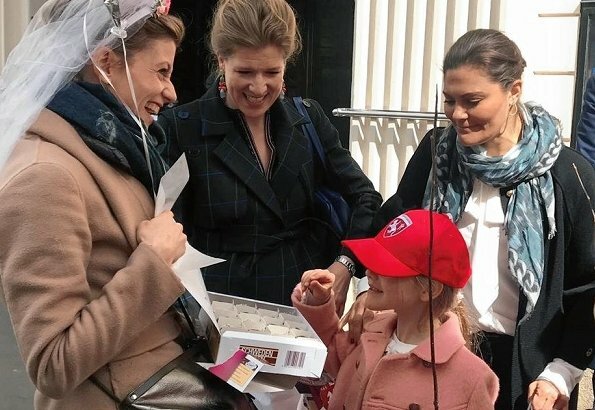 The Crownprincess is so down to earth...and little Estelle enjoyed the SWEDENBOMB...Austrian sweet, filled with a sort of marshmallow. What a sunshine Estelle is! I hope they visit the famous "Naschmarkt"! If so, they should try "Nusszelten". 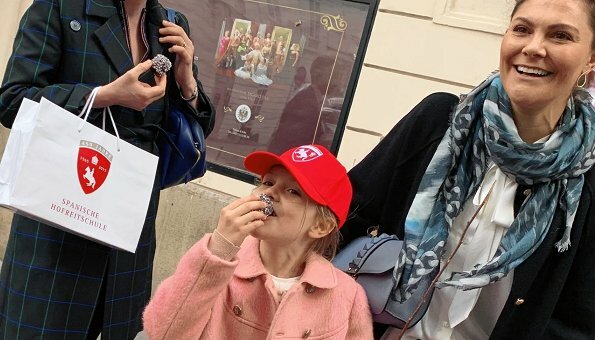 And, of course, "Sachertorte" at the Hotel Sacher! 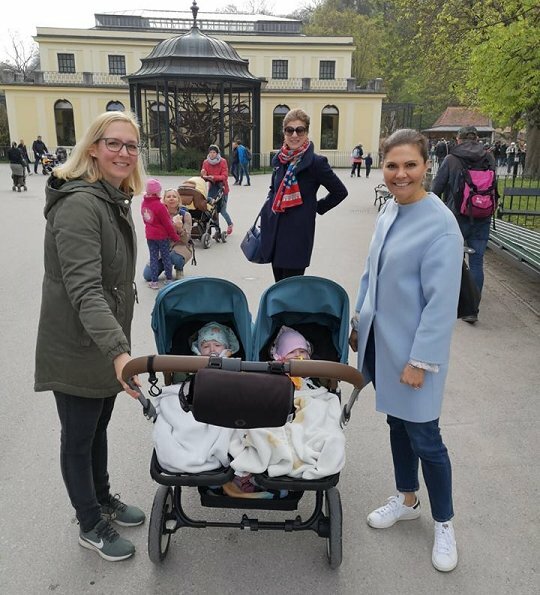 How nice three generations of Swedish Royals, at the Schoenbrunn Zoo. Must have been fun filled. 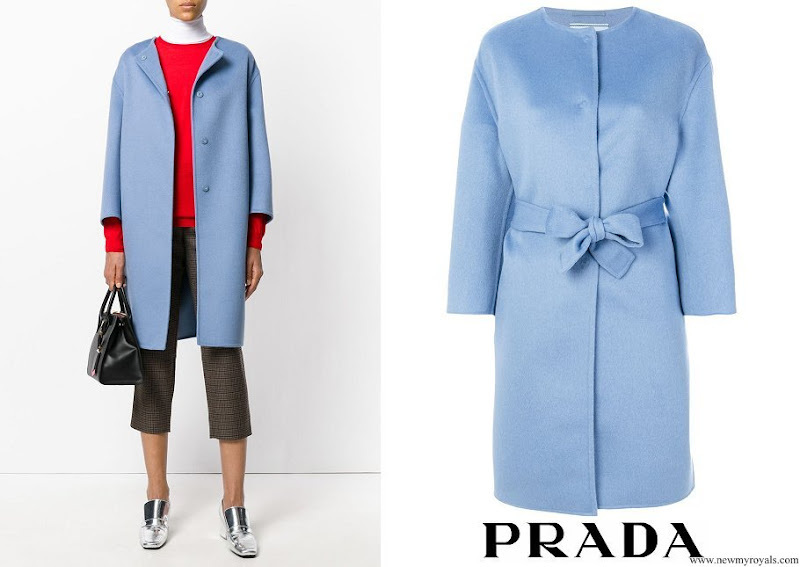 Like Victoria's coat, lovely color.Well the Giraffe-ladies want to be feed.